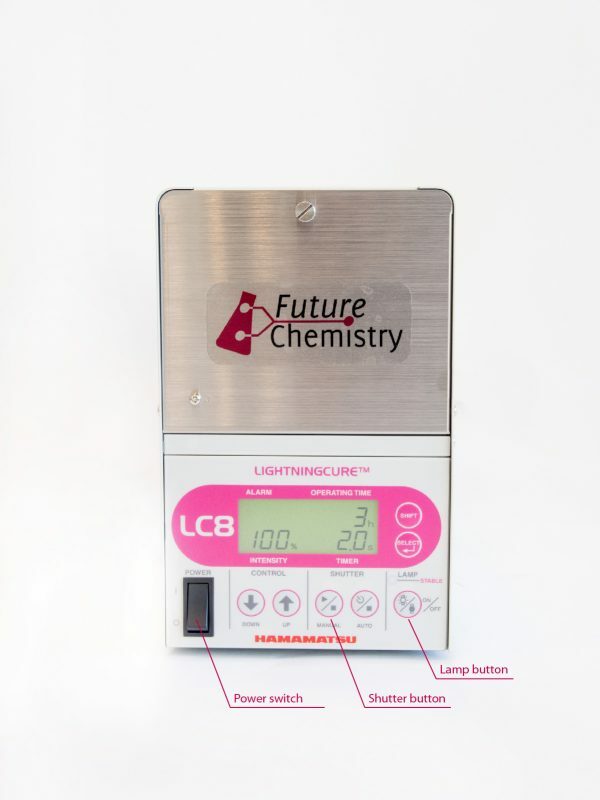 With the Photochemistry Module you can start with photochemistry today! Photochemistry in continuous flow offers multiple advantages over its batch-wise analogue. The large surface area to volume ratio of a microreactor maximizes the illumination and makes sure the reaction is cooled at the desire temperature decreasing the thermal side products. 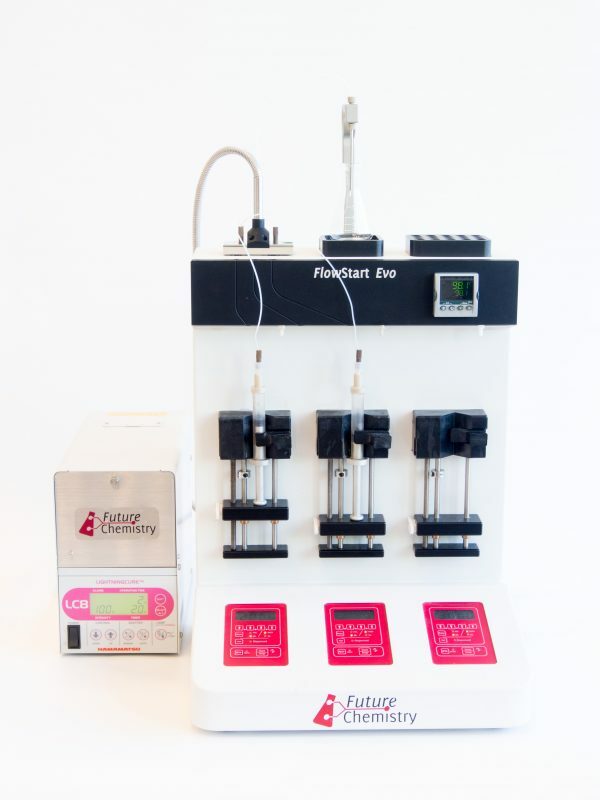 This add-on module allows you to combine photochemistry with the benefits that flow chemistry offer. Advanced chemistry in a very mild and clean way, which immensely decreases the reaction time on photochemistry reactions and leads to highly pure products. 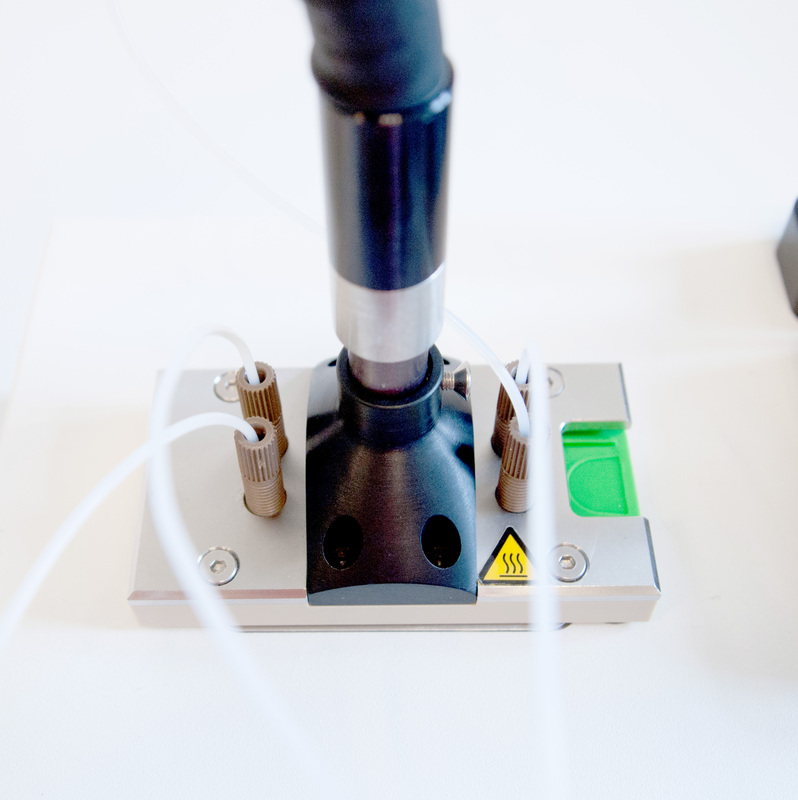 The Deep UV module aims to bring UV light to the microreactor, so that photochemistry at low wavelengths can be carried out. In order to do this, a light source is connected through a light guide to the microreactor. 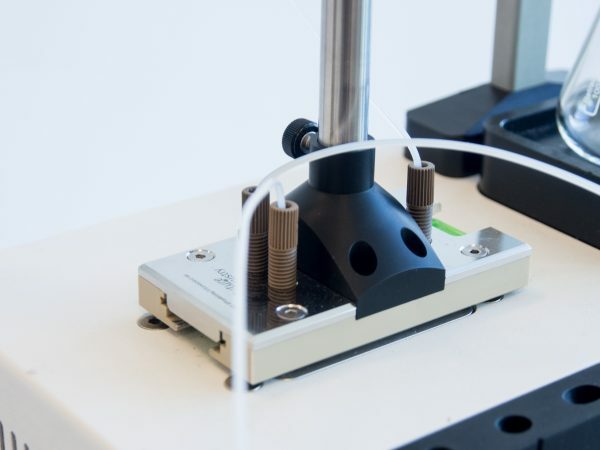 The light is guided through this flexible guide and aimed at the microreactor. The light source is fitted with a UV lamp (mercury-xenon) which has a wavelength band between 240 and 450 nm. Due to inherent characteristics of the lamp, the spectrum is not ‘smooth’ but has spikes and valleys. There is a valley around 260 nm where the intensity is not very high. In attached PDF the emission spectrum is shown. A UV irradiance of 4.5W/cm2 has been measured at a wavelength of 365 nm. This value can be regarded as the 100% in the graph. The Deep UV module can be used with the full spectrum, in that case all light emitted by the lamp is radiated onto the microreactor. 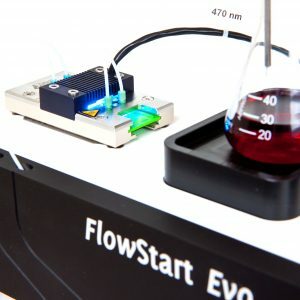 The FlowStart Evo will be able to cool the reactor sufficiently to draw away the heat generated from the absorbed light. In a different mode, filters may be used to selectively allow a certain wavelength band to fall onto the microreactor. Filters can be ordered separately. The light source has an electronic shutter to control the radiation without shutting off the lamp. 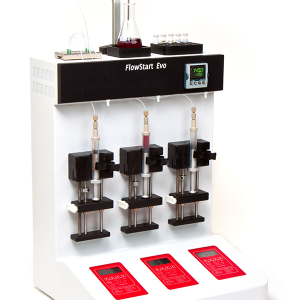 Installing the system onto the FlowStart Evo and replacing the lamp are very easy operations. We offer different solutions for different wavelengths: for wavelengths down to 365 nm see also The LED photochemistry module. For lower wavelengths, no LED light sources are available which are powerful enough, so for those applications mercury lamp set ups such as this photochemistry module deep UV are needed.